The shelf trolley has the same platform as the pallet dolly and is suitable for use in tugger trains. The containers are placed on the shelves, which are fully height adjustable thanks to the holes in the frame. The castors feature a foot guard and parking brake to ensure precise positioning. 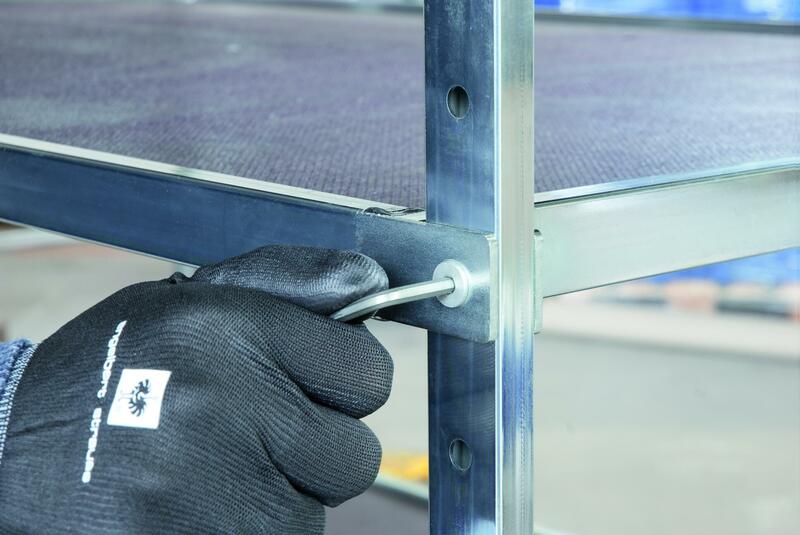 The frame is specially designed to ensure that the europallet dimensions are maintained inside. 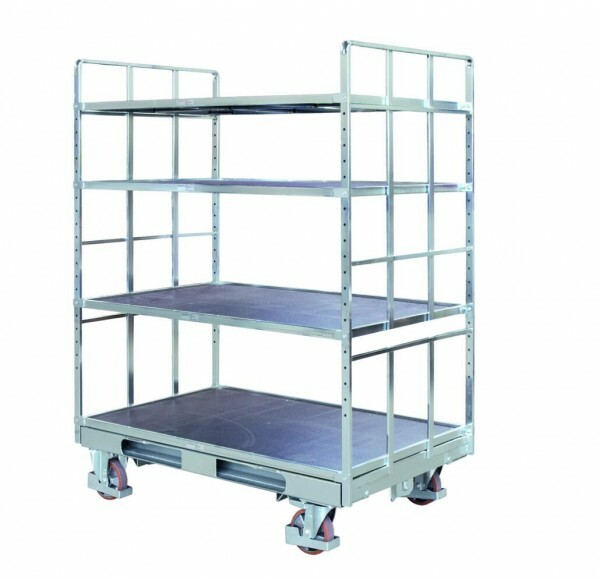 The shelf trolley is also available in ISO dimensions.